Updated and expanded to include additional statistical techniques and a broader array of exercises, this second edition of Rea and Parker's foundational tool is a complete, practical guide to conducting sample survey research. In a comprehensive manner, it explains all major components of survey research including construction of the instrument, administration of the process, and analysis and reporting of results. Building on the strength of the original book, the second edition: - Provides a wealth of statistical analysis and techniques to create a complete guide to the survey research process- Includes an expanded group of exercises and examples covering a broad base of subjects- Discusses the emerging importance of focus groups in preparing survey questionnaires and in analyzing survey findings Clear, concise, and accessible, this guide explains how to conduct a survey research project from start to finish. Further, it shows how this research method can be applied in such diverse fields as urban affairs, social science, and public administration. 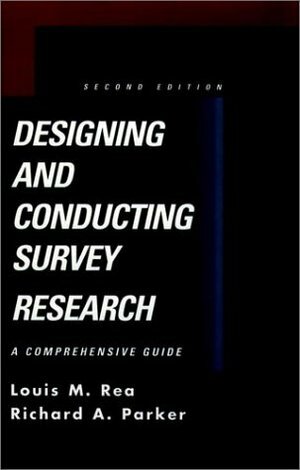 Designing and Conducting Survey Research is an excellent tool that will help both professionals and students understand and explain the validity of sample survey research.